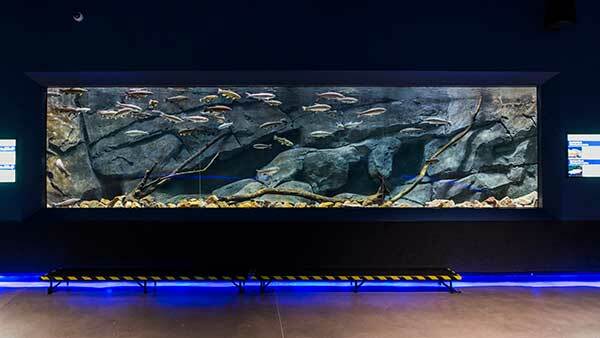 The Arizona River Trout exhibit is presented in partnership with Arizona Game & Fish. 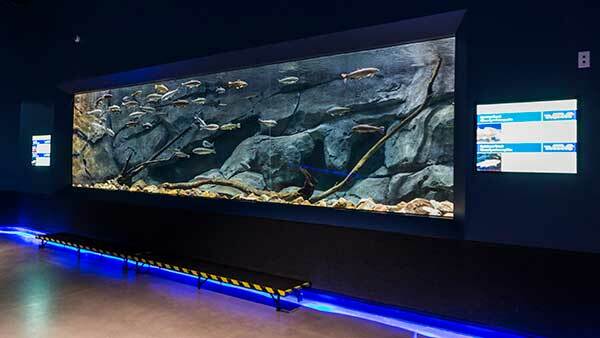 The Arizona River Trout exhibit offers a helpful step for children to get a closer look. The Arizona River Trout exhibit is located next to the Paddlefish exhibit. 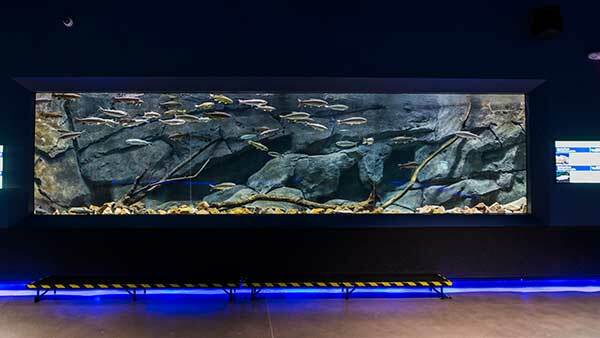 The Arizona River Trout exhibit features Arizona's state fish, the Apache trout. The Apache trout has historically inhabited the upper White, Black and Little Colorado Rivers in the White Mountains of Arizona. The Gila trout was historically found in the Gila River of Arizona and New Mexico, and the Verde and Aqua Fria drainages. Fed by springs and snowfall from Mt. Baldy, the Little Colorado River is characterized by very cold, fast moving waters with interspersed deep pools and a rocky or cobble bottom. The Gila river displays a similar hydrographic profile, with cool fast waters and many deep slower pools. During spring, when there is runoff from snowmelt, and during summer when there is a high rate of precipitation, these mountain streams run much higher and allow the trout to travel further distances for food and to find appropriate spawning grounds. They may travel through riparian areas such as marshes and cienegas, as well as smaller streams through coniferous forests. During dryer periods of the year, many of the streams and wetlands that these animals inhabit during the wet seasons are either much shallower or completely dry. Many mountain streams in the Arizona high desert become intermittent ponds and pools during the dry seasons. Apache and Gila trout will reside deep in these pools until the streams start flowing again. Apache and Gila trout have both been important parts of the Arizona ecosystem for many generations. They have acted as a top aquatic predator, feeding on young fish, invertebrates, amphibians and reptiles and they have served as an important food source for terrestrial animals such as coyotes, hawks and bobcats. Additionally, they have also served as an important food source for the people of Arizona and an emblem of state pride in our wildlands and aquatic habitats.